I have made this homemade sunflower sour cream so many times in a couple of weeks and still couldn't get enough. I have discovered that you can make an absolutely wonderful salad with it. 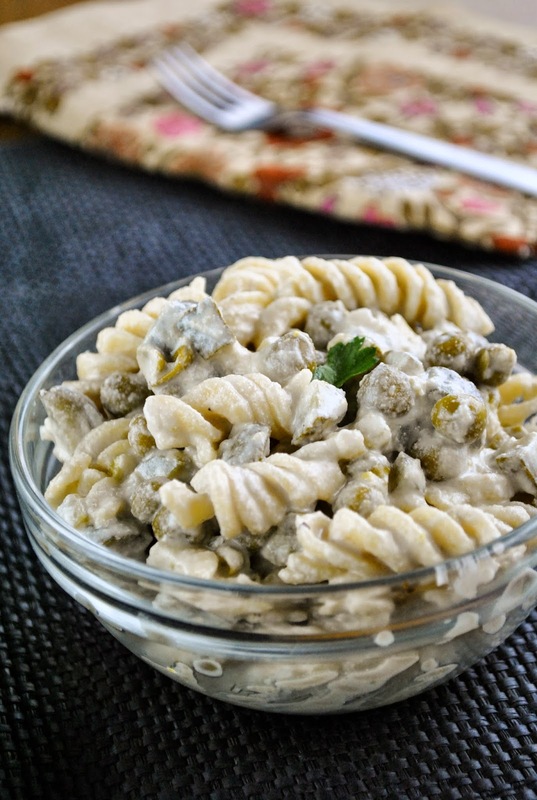 Be it potato or pasta salad, it suits just perfectly. I love that I don't have to buy the sauce anymore, I can make it myself. Real quick, cheap and healthy. Boil the pasta al dente. Drain and rinse with cold water. Drain the peas and carefully mix with other ingredients. Taste and add some salt and ground pepper. Serve right away.